San Mateo - Rioja Wine Festival More than a bull run - Viva San Fermín! Experiences are there to be shared… And in Spain, when we speak about experiences, we think about Southern Spain, about Andalusia, about the roots of the Country, and as such we are bound to share with you all about Andalusian fairs. 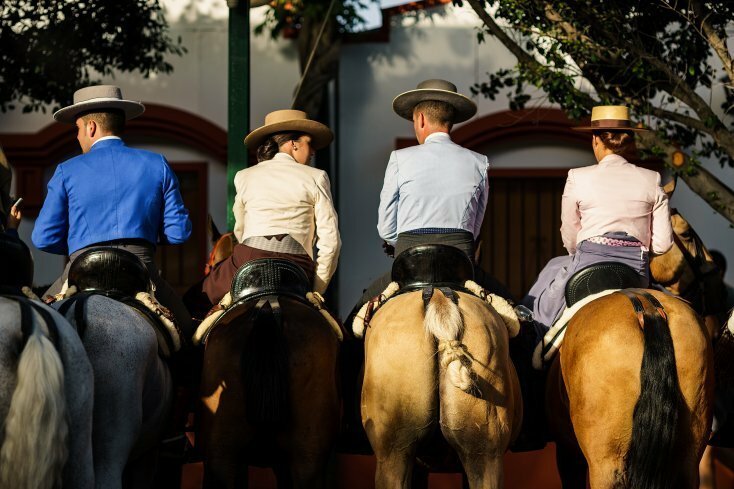 The Andalusian fairs have special significance for the cultural elements that contribute to the region’s culture and idiosyncrasy: both those inherited from the original festivals, of livestock and religious origin. 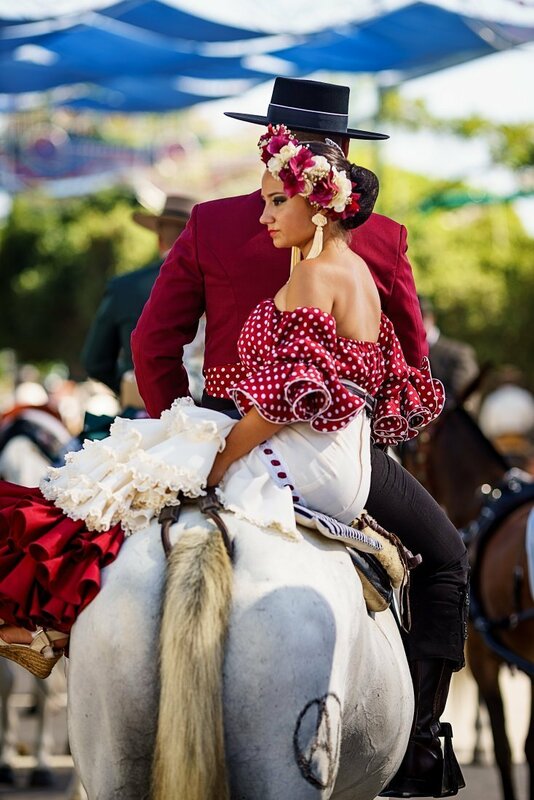 All the Andalusian fairs have in common characteristic elements such as the Feria’s gate, ‘feria venues or stands’, Andalusian horses, women dressed in flamenco and of course, Andalusian dance and music. Fair is tradition, commemoration, fair is to share good moments, fair is fun and joy. Pure joy by day in the city centre and by night at the fairground. Its history has more than 500 years. The summer festivities of the city have their origin in the commemoration of the incorporation of Malaga to the Crown of Castile by the Catholic Monarchs, who enter the city on August 19, 1487. In 1491, coinciding with the liturgical celebrations of the Cathedral’s chapter house, the City Council established the beginning of popular festivities. It is the year 1887 when, in the commemoration of the IV Centenary of the entry of the Catholic Monarchs in Malaga, they re-emerge in all their splendour. 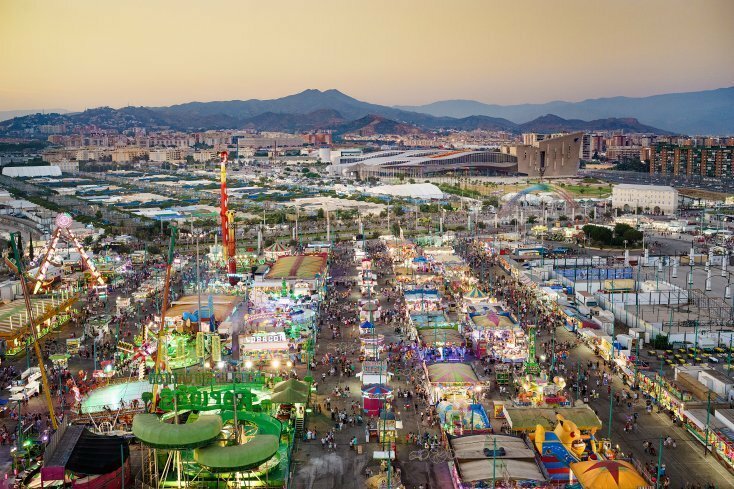 The August Fair in Malaga has reached our days as the Great Summer Festival, with an open, cosmopolitan and international sense, which reflects the character of the capital of the first tourist area in Europe. 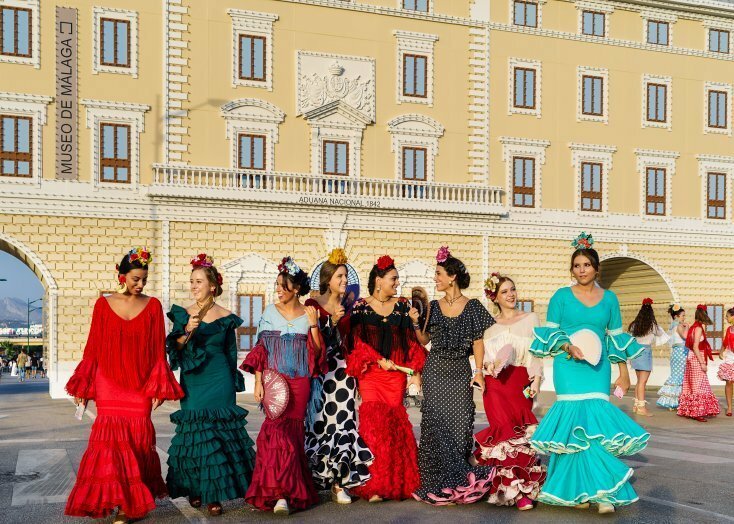 One of the singularities of the Feria currently resides in the division into two areas of entertainment, because although the fairgrounds or Real de la Feria, is located in the Cortijo de Torres, the historic centre of Malaga lives its Fair of day. Therefore it could be said that in Malaga there are 2 fairs, the Day Fair and the Night Fair. Feel good from the moment you set foot in the chalky sand, in the fairground … Get out your dot’s fan and feel the vibration! Any excuse is good to visit us, to explore the South, to discover Spain! Viva Malaga, and its fair! 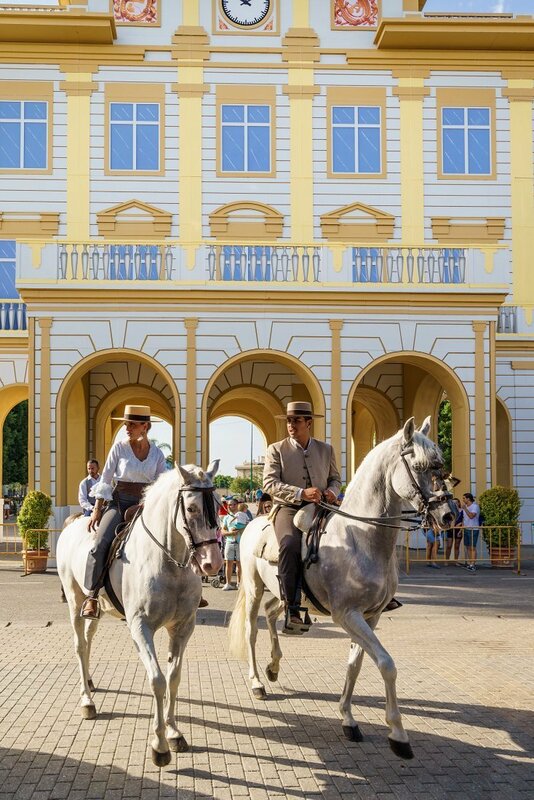 Discover the Andalusian folklore – Welcome to the Fair of Southern Europe!